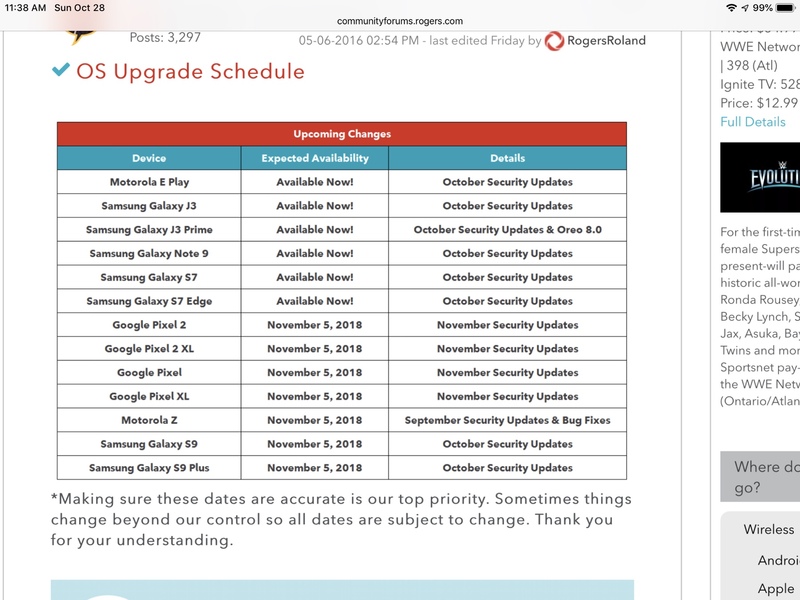 Rogers update schedule is showing that the October Update is now available. My K1 tells me that nothing is available. Did anybody get it? No evidence of it yet though. I would love to know which build number Rogers is pushing with this update. I guess we will wait and see. I don't know how updates work on Oreo..the update section in the settings isn't helpful. That said, still nothing here. First of all, there was no beta update. Second, the message which has now since disappeared stated those on beta OS would receive a release OS in an October or November update. Meanwhile, in other news, still nothing from Rogers. Still nothing from Rogers. Update(s) have as of Friday disappeared off of their update page.